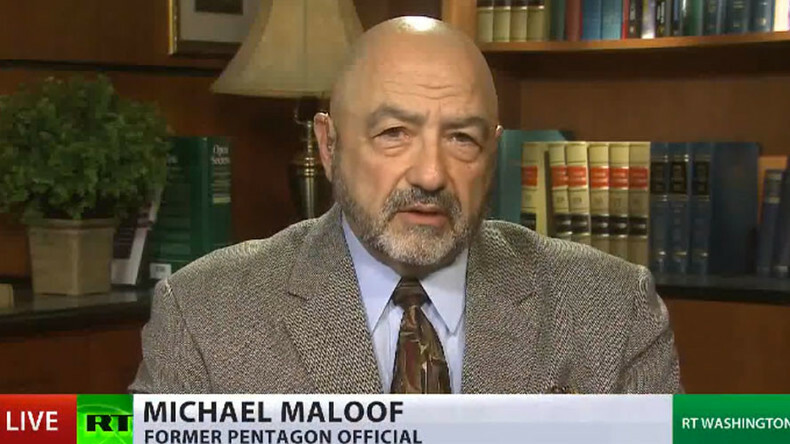 Turkish President Erdogan has given up on NATO and the EU, and is pivoting toward the East, says ex-Pentagon official Michael Maloof. As Ankara and Moscow discuss military ties, this offers an intriguing new opportunity for regional cooperation. Turkish Foreign Minister Mevlut Cavusoglu, in an interview with Sputnik news agency, said that Ankara is considering military cooperation with Russia as NATO seems to be shying away from relations with Turkey. RT: Turkey is a major member of NATO and yet the country's foreign minister says the alliance is backing away, effectively forcing them to turn to Russia. What's your take on the situation? Michael Maloof: It is a very dynamic situation. I think Turkish President Erdogan basically has given up on NATO and even on the EU – is pivoting more towards the East at this point. 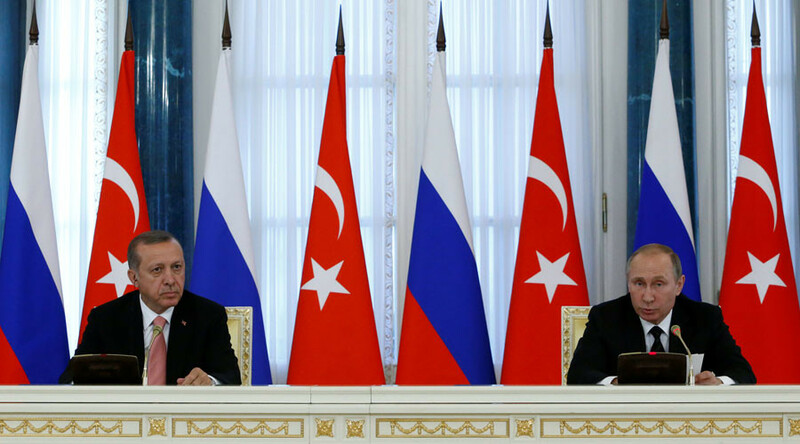 For Turkey and Russia now to begin to talk as they are – particularly in terms of military alliances – this offers a whole new opportunity for not only bilateral cooperation, but also regional cooperation in a very intriguing sense. Turkey is also what they call a dialogue partner of the Shanghai Cooperation Organization [SCO], in which Russia, China and even Iran are all involved. What is evolving here is that Russia sees Turkey’s assistance in containing and controlling the Sunnis, and the Jihadi Sunnis in Syria, but also in becoming a regional influence in that part of the world. And while Turkey and Iran are also talking, this could portend a potential for some Sunni –Shia settlement. This is just at the beginning stage. Washington is apoplectic about this. Although they won’t admit it publically, but I think they are very concerned about it. This is going to show that… Erdogan and President Putin have begun to look eastward. The SCO offers this great opportunity, especially now with China coming into the mix and wanting to be involved in the Syria resolution. And they are going to do more military training for the Syrian government. So this is a whole new dynamic that caught Washington off-guard. RT: Do you think that Turkey might be using this talk of cozying up to Russia to annoy NATO? MM: That is part of it, but I also think that Erdogan has basically decided to pivot eastward. I think he sees more opportunities in the long-term in that direction. And he is showing this for quite some time… The US and the other NATO countries don’t want to appear to have an open rift with him. They can’t kick Turkey out of NATO. In that sense Erdogan has leverage. And he not only has leverage in NATO, but he also has leverage with the flow of refugees into Europe. So Europe, many of whose members comprise NATO, has to treat Erdogan at this point with very, very soft gloves, if you will. They don’t want to do anything that is going to force him to just go completely toward the East at this point and give up that NATO membership. NATO has to reconsider its policies and stop seeing things in black in white, said Talat Masood, retired three-star general of the Pakistani Army, commenting on Turkey’s current relations with the military alliance. RT: What do you make of this message by Turkey? Do you think the state is really moving closer to Russia here, or is this designed as a warning shot, so to speak, for NATO? Talat Masood: President Erdogan is very unhappy with the way some of the members of the establishment in the US supported or sided with Mr. [Fethullah] Gulen, because they knew that he was conspiring, and they gave him support, or sympathy, or ignored the fact that he was planning in a way to create problems for Turkey…[Erdogan] thinks that it was a very unfriendly sort of thing on the part of some of the members of the US establishment to have … such a close ally of the US and NATO – to disrupt and destabilize it in that way. RT: What are your thoughts on Turkey’s current relations with NATO? Do you think the country will turn its back on NATO or at least distance itself further? If this is a threat to NATO what does Turkey want out of the block at the moment?